Clear acrylic dispenser rotates in place on the counter top. 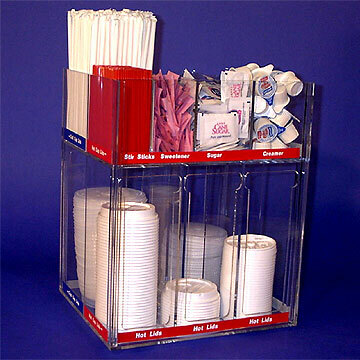 Unit accommodates small, medium and large size lids. 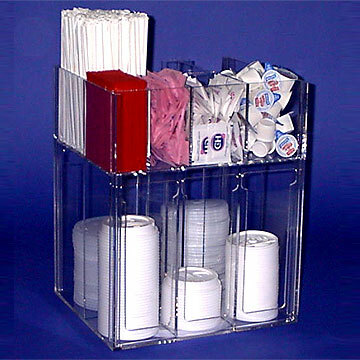 Additionally, the top of the unit has compartments for straws, stir sticks and sugar packs. Quantity discounts available! Order 2 – 5 units and pay only $192.35 per unit. For orders of 6 or more units, please call us at 1-800-523-8674 for additional discounts.